Acupuncture is a practice that involves inserting hair-like needles into the skin in order to stimulate specific energy points that can restore balance to normal physiological function. While acupuncture may be best known for its ability to reduce and control pain, it is also a useful tool for treating many common and uncommon diseases. Acupuncture can reduce stress levels and improve circulation, digestion, detoxification, and elimination of wastes from the body. Using acupuncture lowers the need for conventional pain-killing drugs and thus reduces the risk of side effects associated with those drugs! Stress is a major reason for health problems. Acupuncture can be especially effective at treating tension headaches, panic/anxiety disorders, fatigue, weight gain, and muscle tension/soreness. While the effects of stress differ from person to person, acupuncture allows patients to feel naturally calm and pain-free, even after treatments are finished. This is because acupuncture treats the underlying cause of imbalance rather than the symptoms. Not only does acupuncture calm the mind and temporarily relax the muscles, it brings lasting balance to the various systems of the body. In addition, Dr. Heyer has helped patients quit smoking with his smoking cessation programs. These programs involve acupuncture sessions and may include biocleanse treaments and nutritional supplements. Call us if you are interested in conquering this habit! 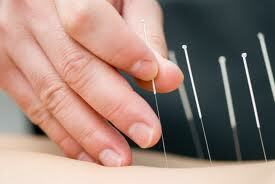 If you find yourself dealing with the issue of infertility, acupuncture may be a helpful therapy for you. It is believed that acupuncture can help improve the nervous sytem's control over the reproductive system and the hormones involved with conception. To find out if you would be a good candidate for our infertility programs, please call to set up a consultation. If you would like to see what acupuncture can do for you, make an appointment with Dr. Heyer today!